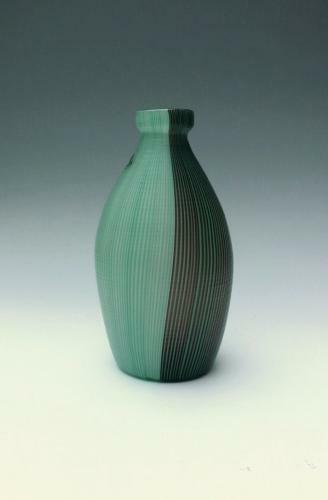 Two tone green tessuti vase. Limited edition production, in 'a battuti' finish. this process involves wheel grinding the surface to produce a beaten texture. Prov : Christies, Paris 21 Nov 2012 - Venini, Collection of August Warnecke. This design is no longer in production.